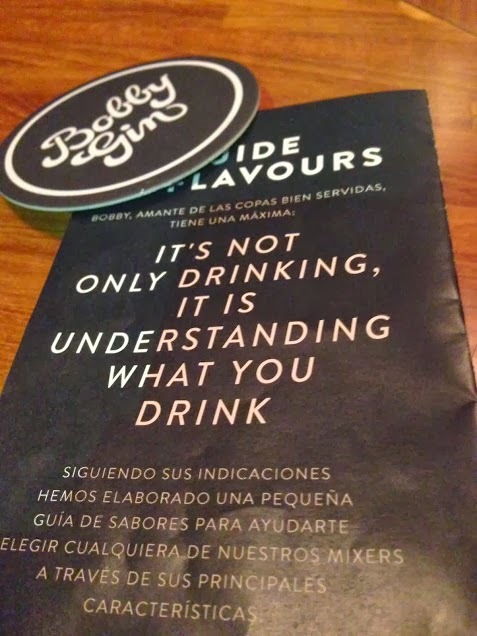 Bobby Gin: The Best Gin Tonic in Barcelona! Sure, Vodka is supposed to be less fattening but why not enjoy a good old Gin Tonic? It is a great when well prepared. Alberto Pizarro in Bobby Gin is the best mixologist in the world. He has won the price of "the cocktail theater and the stars" in New Delhi, and was announced the best creative cocktail maker in 2011. His winning cocktail was rum based with cocoa and a twist of orange. 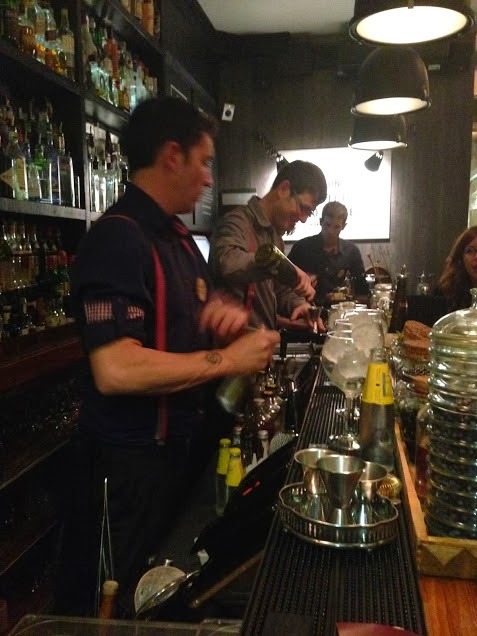 The finished drink was great and the drama of the presentation was unbelievable- which Alberto performed as an alchemist. Coming back to our BelleBarcelone, Bobby Gin, in the Gracia area (see my post on calle Verdi) we are able to have great cocktails and wonderful mini dishes in a very cozy and casual atmosphere. Bobby Gin is on carrer Francisco Giner, 47. The place is inviting - woody, warm and retro. Recycled wood from the area with some old desktops fitted to the walls, a bathroom door that looks like a library and award-winning mixology master Alberto will make you rediscover your old favorite drink in a chill out atmosphere. 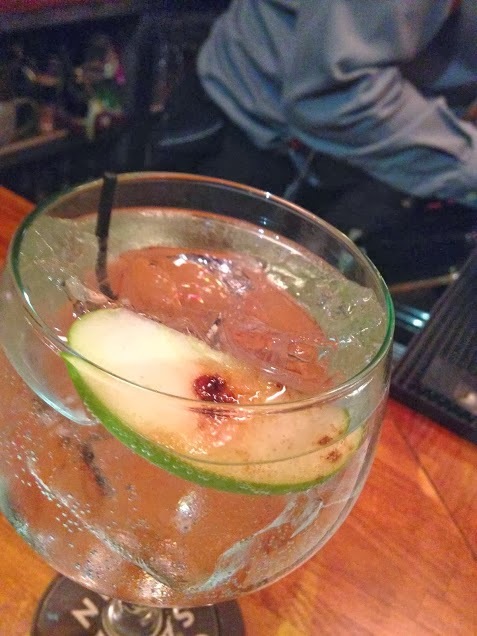 From all your gins-Bulldog with apple and liquorice, the Bobby'spring (their own infused Gin) with strawberries and grapefruit, and the list goes on- to Gin Fonk, you will have a big choice. Gin Fonk is a new way to elaborate a Gin tonic, a smoked cocktail then infused with a variety of botanical delights. 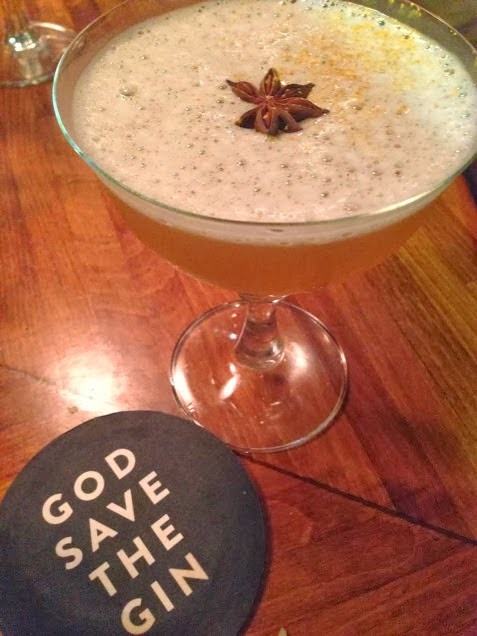 For those of you who may not like gin, they have other cocktails too, like their signature one for instance the Udermales- the award winning cocktail. Roger Edo, the experienced chef, elaborates wonderful mini traditional dishes with an oriental touch. 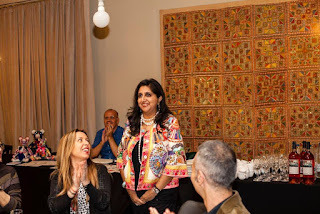 You have a gin tasting every month to learn and understand the different types of gin and their history. For more info contact: alberto@bobbygin.com. This tasting could be a great thing to do among a group of friends or as a couple. My Favorite: Bulldog with Licorice and apple!